AB InBev brand Budweiser has announced its plans to deliver live music events at nine venues across the UK this autmun, in locations including Glasgow and Southampton. The beer brand has selected venues with a distinct music heritage, in a bid to drive consumer awareness of its association with the art form. 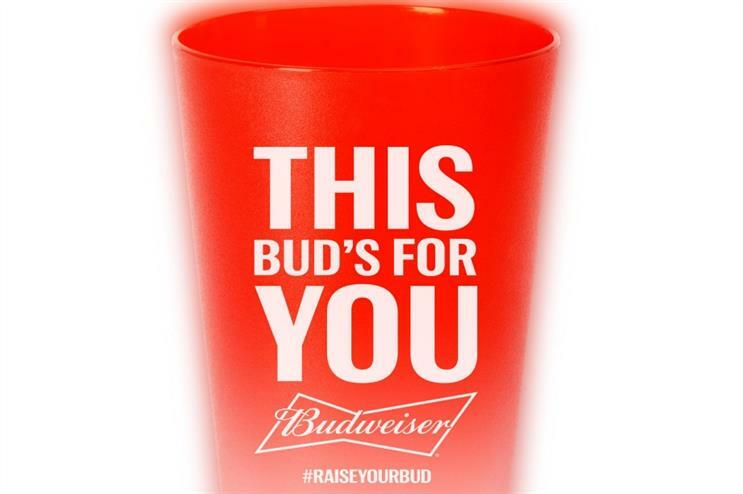 Budweiser branded items will be incorporated into each venue to enhance this relationship. Attendees can expect branded LED cups and Bowtie Equalisers - digital displays that react to sound and light up to the beat of music. The music campaign, which forms part of the beer brand’s Global Music Series, will include both on and off trade activity. Specific details about the venues and event dates will be released in due course. Isabelle Maratier, senior brand manager at Budweiser said: "Budweiser has made a firm commitment to music in recent years, but we wanted to take our association with music to the next level this year – helping to inject excitement into the lager category around music and recognise the people whose passion fuels it all; the fans. "Live music is a key volume driver for beer in all sectors, bringing people together for an experience often enjoyed with a pint. By partnering with authentic music venues, Budweiser wants to bring more of these epic music moments to fans, and enhance their experience in-venue. We can’t wait to bring this activation to gig-goers nationwide this autumn." Another AB InBev brand, Corona has hosted bar takeovers this year, meanwhile Jack Daniel's music-themed campaign, Jack Rocks was unveiled last year.